There are many people asked me about it, although it is a simple tutorial as well, I will explain whole process that's why you can also do it properly. Already I have written articles on Popads.net, because it is a good advertising network, which paid well to their publishers as well as in time. Hope you are going enjoy those articles. But do not write title, as you are going to get the option to add title there. You just don't need to do that. Well, you have done it. You can place any where Popads.net will show ads. No doubt Popads.net going to increase your revenue, but remember do not try to make it multiple window on your blog, actually it will irritate your readers, not even place other Pop ads networks ads in a single blog. Is there anything would you like to know about Blogging? Is pop ads in line with blogger TOS? I don't want to get banned. No, I have been using Popads.net from years. I think, you must contact their support team. admin, do the popads.net code only can be place in template? in my blog i put the code at gadget. please help me admin. one more, why when i use troubleshooting it says tht im using adcode that not generate by my website. sorry I can not help you in this regard you must contact their support team. You are welcome, I hope you have put popads code to blogger. 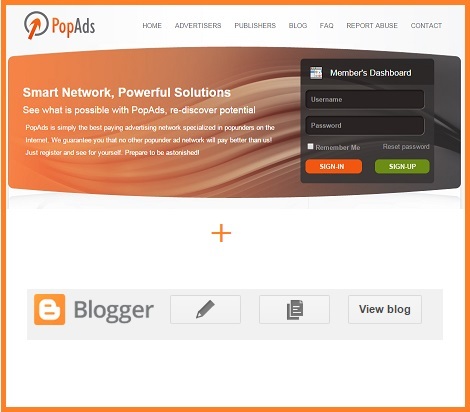 Hello, its a popads network that's why they don't provide such service, you can check Bidvertiser they provides both. i have earned a lot from popads..best way better than advertiser!! !